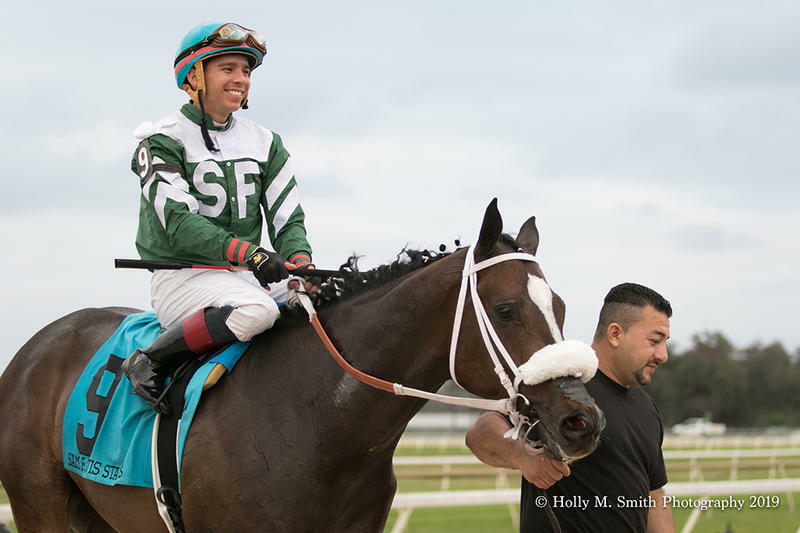 Stonehedge, LLC’s Well Defined broke best and led at every call in a gate-to-wire tally in the Sam F. Davis S. (G3) at Tampa Bay Downs on Saturday. The gelded Florida-bred picked up 10 points on the Road to the Kentucky Derby following his impressive score for conditioner Kathleen O’Connell. Well Defined was bred in the Sunshine State by his owners. He is by With Distinction, who has sired at least 13 black-type winners from 10 crops to race with overall earnings in excess of $25 million. His top progeny have been mostly one-turn types, led by Grade 3 winner Distinctiv Passion. He is one of two winners produced from the unraced Medaglia d’Oro mare Fru Fru, and the first of the stakes kind. Fru Fru is out of Lolabell, the Phone Trick mare who annexed the 1999 Minaret Stakes at Tampa Bay. Medaglia d’oro was a brilliant racehorse who concluded his career finishing first or second in 15 of 17 lifetime performances, while banking more than $5.7 million. The son of El Prado raced in all three legs of the 2002 Triple Crown with his best result coming when a fine second in the Belmont Stakes (G1). He is among the top sires on an annual basis, responsible for standout thoroughbreds such as Horse of the Year Rachel Alexandra; two-time champion Songbird, 2018 Kentucky Oaks (G1) runner-up Wonder Gadot; 2017 Breeders’ Cup Turf (G1) star Talismanic; 2011 Kentucky Oaks (G1) vixen Plum Pretty; dual Grade 1 queen Elate; two-time Grade 1 winner Bolt d’Oro, et al’s. The three-time Grade 1 winner is evolving into a solid broodmare sire, too, as his daughters have produced at least 19 stakes winners to date and $15,499,504 in earnings. 2018 American Oaks (G1) starlet Competitionofideas, 2015 Spinaway Stakes (G1) heroine Rachel’s Valentina and 2015 Vosburgh (G1) victor Rock Fall are among the top performers out of Medaglia d’Oro mares. Well Defined does not boast a favorable pedigree to thrive at Classic distances. Even with the presence Medaglia d’Oro, the catalog page is light on class and stamina throughout.